Mix water with sunshine and voila! Our new Swim Up Bars are fun, easy-to-use inflatable beverage coolers for you and your buds. 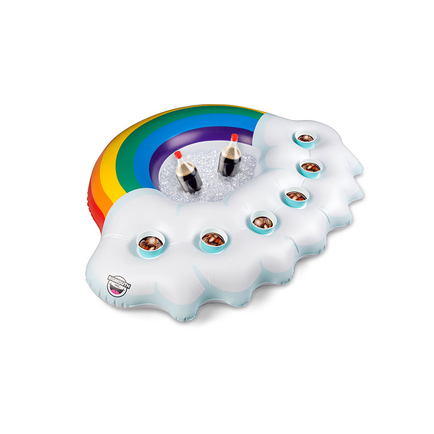 This Happy Rainbow inflatable beverage bar keeps 5 drinks afloat so you can stay on cloud nine this summer. There’s also a built-in ice chest that lets you keep cans, bottles, juice boxes, etc, cool in that hot sun. Don’t forget the mnis!